Every few years the invisible black confederate story recirculates among the neo-confederate types. Every time they wind up empty. Hope the bill passes to memorialize Robert Smalls! Small would later serve in the US Congress until 1886. By 1900, only 34 States had compulsory Public Education systems – 4 in the South. During the reconstruction period when black legislators were elected, Public Schools were established in some states of the South, several were shut down after Reconstruction in Southern States. The story of Robert Smalls still resonates today – as does the Southern Myth of Reconstruction. It is impossible not to think of history as we watch the poll results rolling in from South Carolina, where Clinton and Sanders vie for the state’s largely African American Democratic vote, and where Trump handily won the Republican contest, where exit polls indicated that 96% of voters were white . Much of the state’s history – as the birthplace of secession and a stronghold of Jim Crow segregation – is shameful, and its repercussions are not entirely past. But looking back at one of the state’s legendary African American political figures might help us understand how the state decides to vote come this weekend, especially as the question of reparations becomes a national debate. 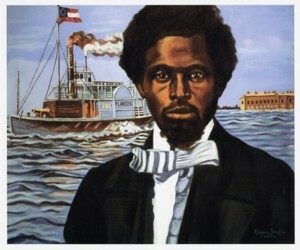 Robert Smalls was a slave who stole a Confederate ship during the Civil War and brought it to the Union fleet, gained his freedom, managed to get elected to the state legislature, and ultimately served five terms in Congress . Smalls’ mother was a slave to Henry McKee, but as a young boy, Smalls was rented out in Charleston, where he learned how to pilot ships. 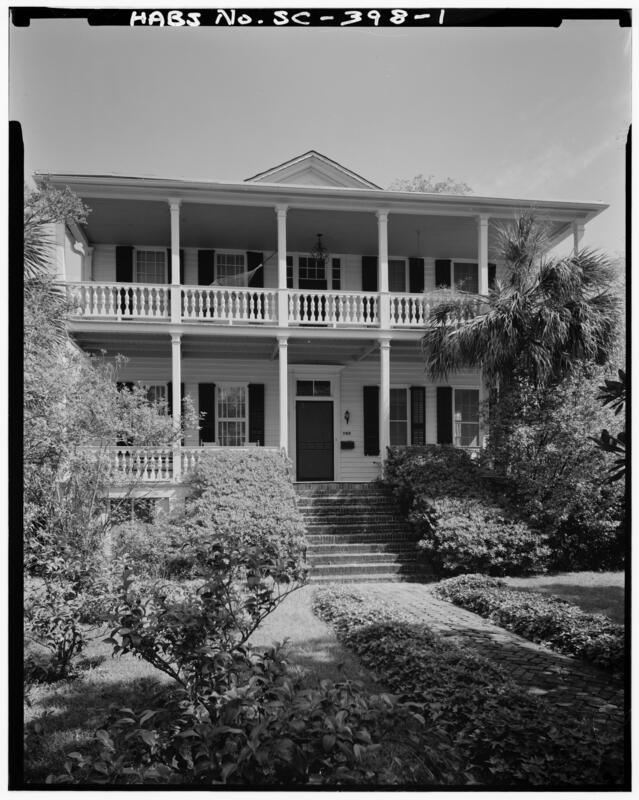 When the civil war broke out – it started in Charleston – he and a number of other slaves worked on the Planter, a Confederate ship, which he daringly captured in the middle of the night and piloted through the mine-infested waters, first to pick up family members of the enslaved crew, and then to the Union blockade of the harbor. He managed to successfully deliver the ship, which he continued to pilot throughout the war, becoming something of a cause célèbre. In 1865, he brought the Planter to Philadelphia, where he was to give a talk. He was kicked off of the segregated trolley on his way back to the ship, prompting a movement that eventually desegregated that city’s public transportation. After the war, Smalls ran a store, a newspaper, and served in the state legislature – where he fought for and won the first public education in the state – before being elected to Congress for five terms. His old home in Beaufort – at 511 Prince St – is marked a historical site and it is is, in many ways, a perfect monument to post-reconstruction race relations in America. Smalls bought the home in a tax sale when he returned after the war. His mother had worked there raising the McKee children even though her own son, Robert, had been sent away. Now he was back and he legally owned the house. She did not remember that the house was no longer her property, according to Moore, but also probably didn’t realise that Smalls himself was not her property anymore. Moore says the story was passed down through family lore, and no one can say whether it’s true or not. But we can imagine the horror of those conversations as Smalls tried to gently remind this woman, day after day, again and again, that they were equals, he was in the legislature, and he was not her property. In many ways, the story of Robert Smalls and Mary McKee is the story of race relations in America for the last 150 years. White America continually slips into a kind of dementia, repeatedly forgetting that the world has changed, that we white people don’t own African Americans, that we are not better than them, more valuable, or more deserving of reward. In order to awaken ourselves – and I write this as a white male born and raised in South Carolina – perhaps we need a new reconstruction. The “ Bargain of 1877 ” ended reconstruction in the south, and we fell into the folly of Jim Crow when the state constitution of 1895 legally enshrined segregation. 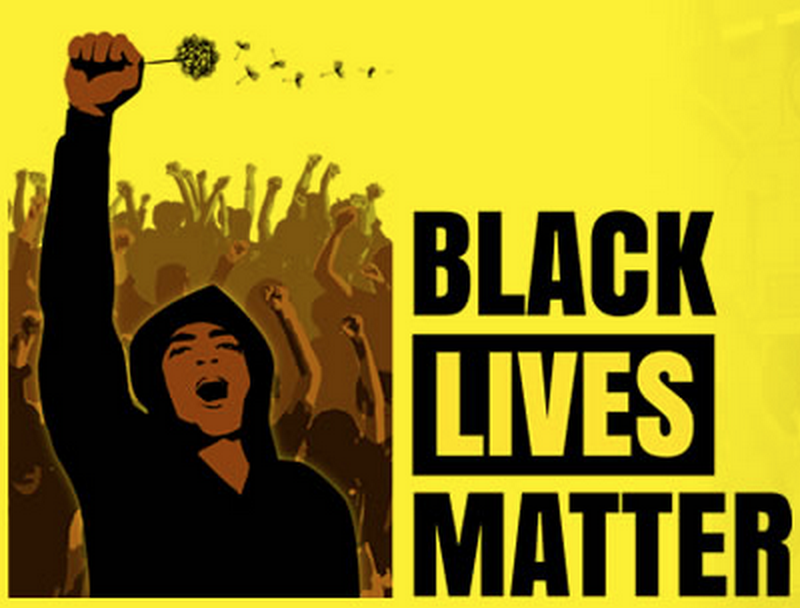 We were awakened and reminded again of the errors of our ways during the civil rights movement, but quickly drifted into a new form of the dementia as the drug war and mass incarceration followed through. Last month, Hillary Clinton gaffed at an Iowa debate by implying that reconstruction was a bad time in the nation’s history. The question – who was her favorite president – was an attempt to catch her between Obama and her husband Bill. Instead, she tripped into another hole when she chose that safest of presidential heroes, Abraham Lincoln. “I don’t know what our country might have been like had he not been murdered, but I bet that it might have been a little less rancorous, a little more forgiving and tolerant, that might possibly have brought people back together more quickly,” she said. Hillary had backed herself into the old-school view of “the horrors of reconstruction”, and the response, most notably by Ta-Nehisi Coates in the Atlantic , was fierce and immediate.